Wreck 'Em Tech! Get Your Guns Up! The burp cloth is made from a 6-ply name brand cloth diaper and measures 13" x 19". 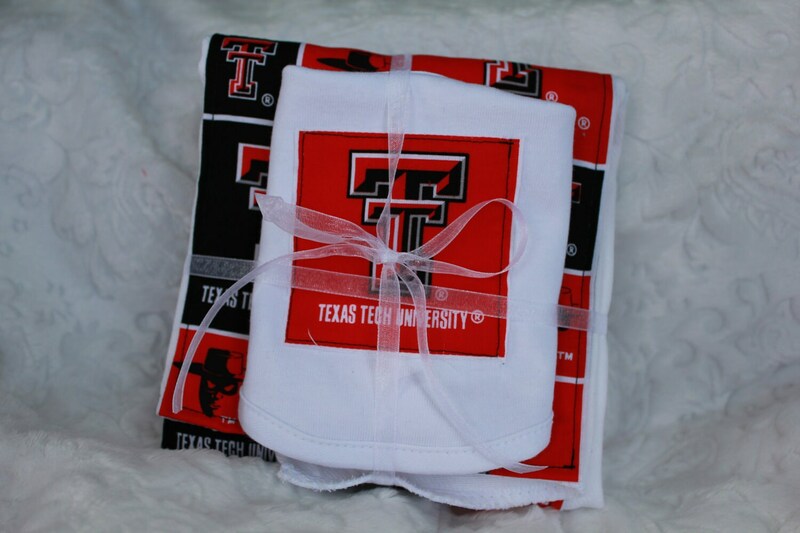 It has a the Texas Tech Raider logo in black and red sewn down the middle. There are two different bibs shown, please let me know when checking out which bib you would like: the single big block T in red, or the four small blocks. If you do not chose one, I will pick one at random for you.